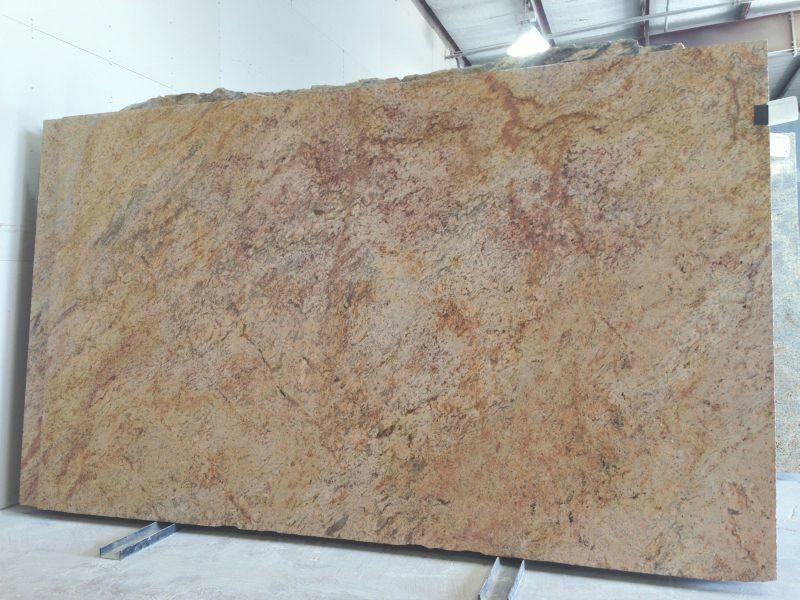 Midas Granite Slabs - A Unique Color Palatte! Description: These Premium 3CM Midas Granite Slabs Pair perfectly with the Very Popular Glazed Cabinet Finishes used today which tend to give off a rather Pinkish Hue. Beautiful Vein Movement give these slabs an Exotic Feel; Salmon, Cream and Gold work in Unison to create a very Unique and Lovely Color Palatte.